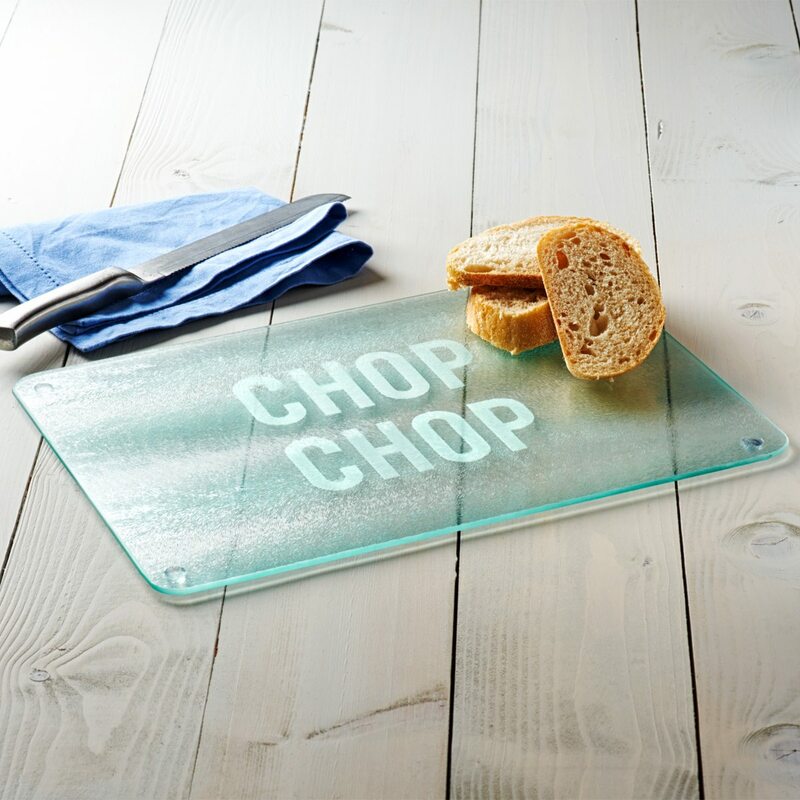 Add a bold statement piece to your kitchen with this ‘Chop Chop’ glass chopping board. 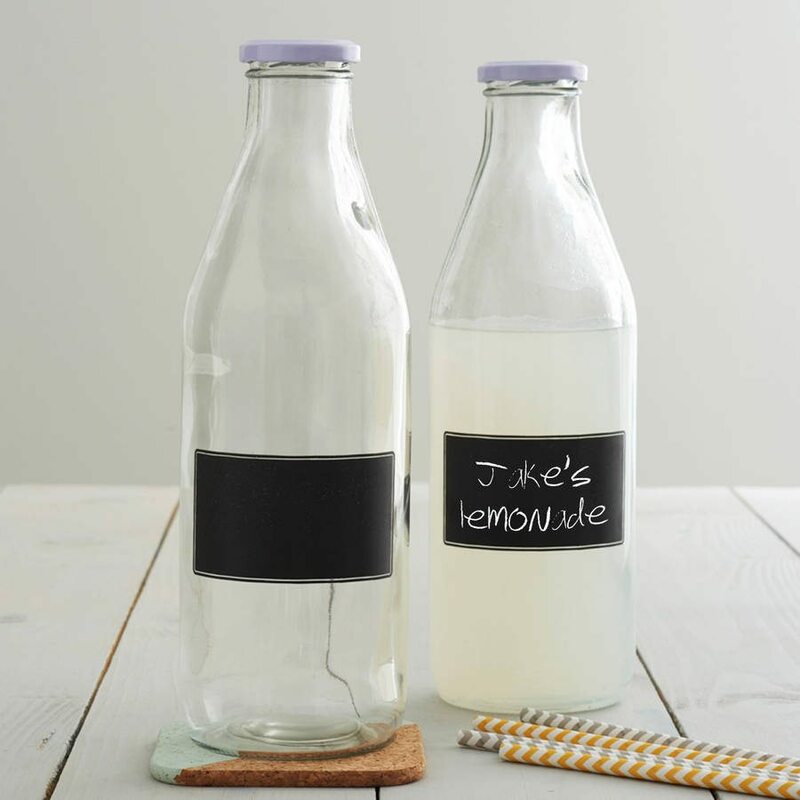 With a vintage milk bottle feel, this glass bottle is a lovely addition to your table, and has a blackboard section for you to personalise. 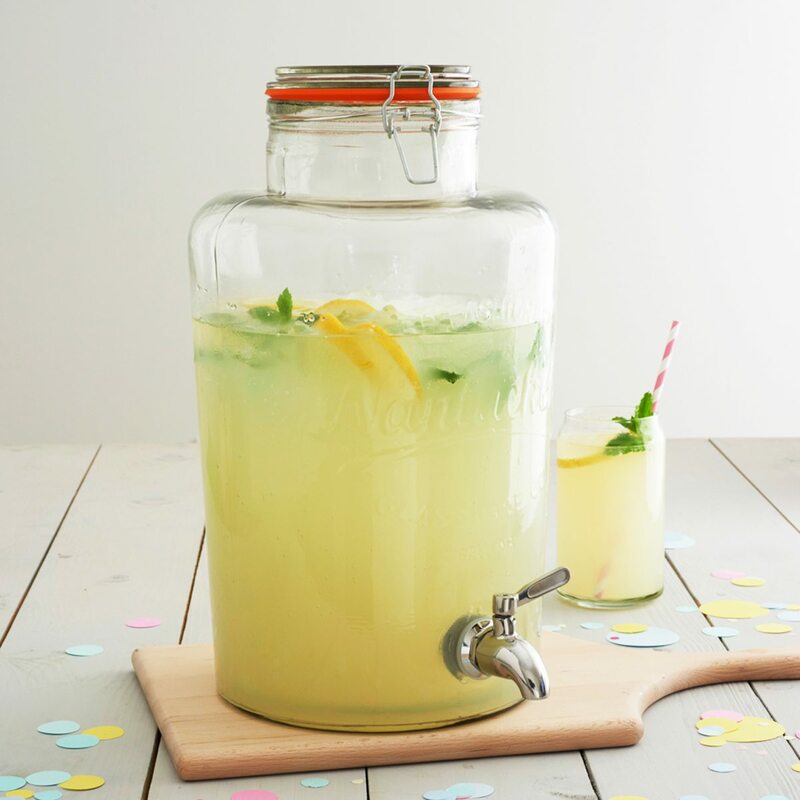 Add a special touch to your celebrations with this glass drinks dispenser. 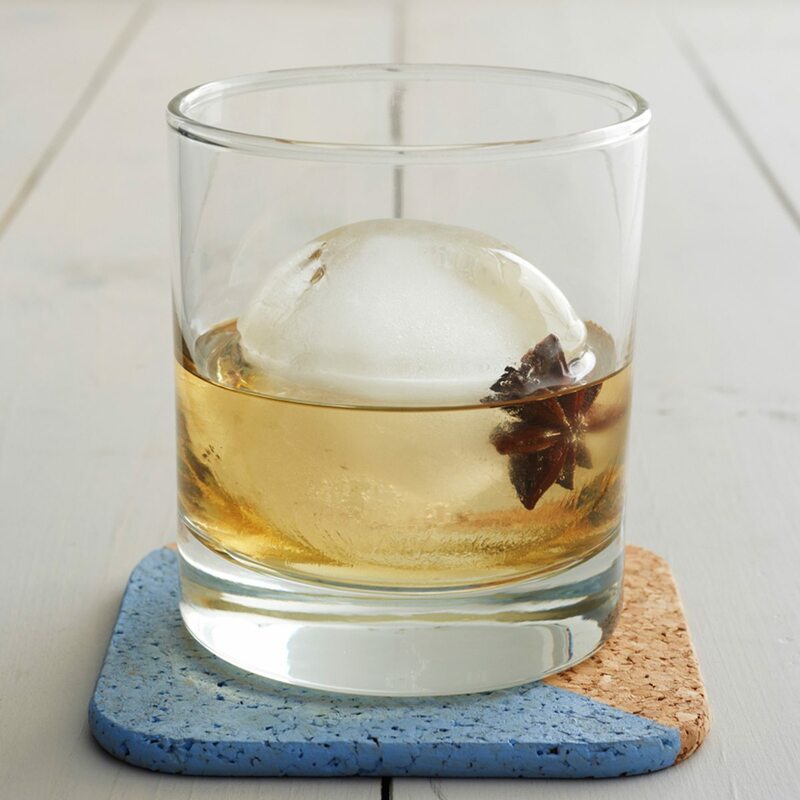 Create your own ice spheres at home with this ice ball mould. 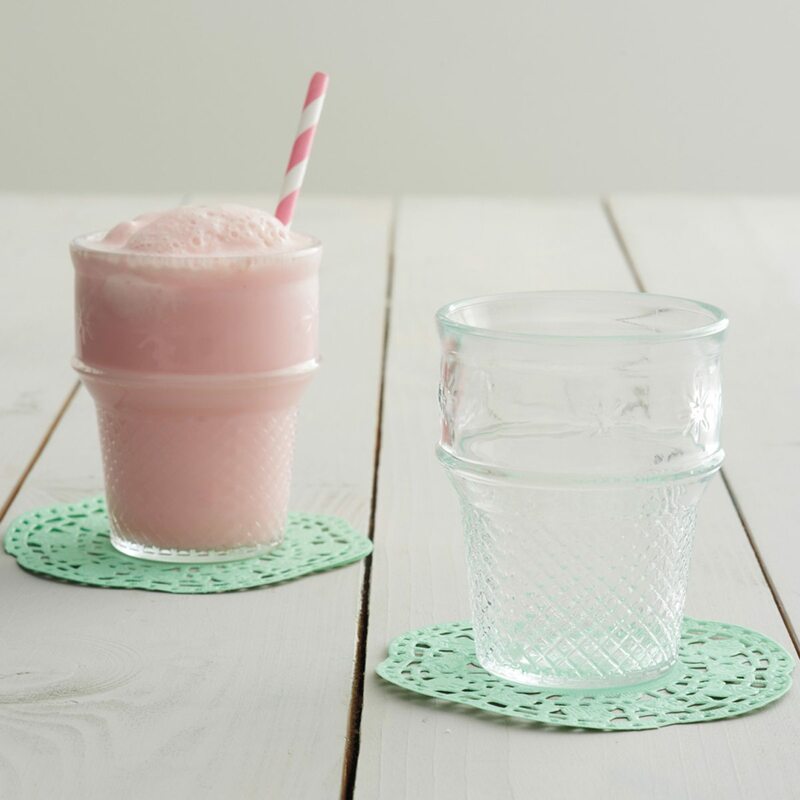 Enjoy an ice cream float in one of these ice cream cornet cups. Say exactly what you mean with this ‘I Knead You’ personalised bread board. 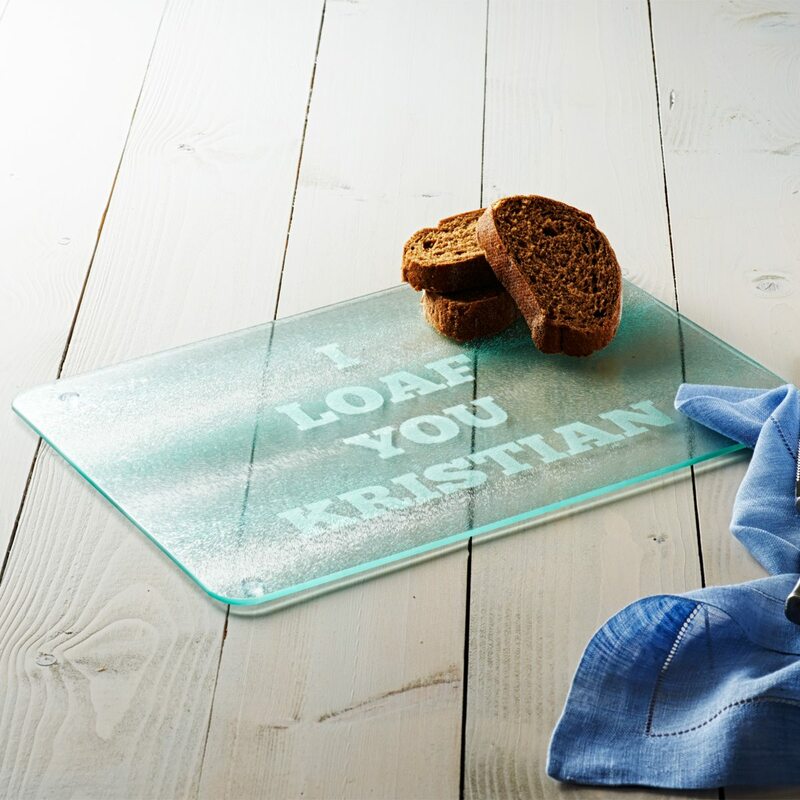 Make a bold declaration with this personalised ‘I Loaf You’ glass bread board. 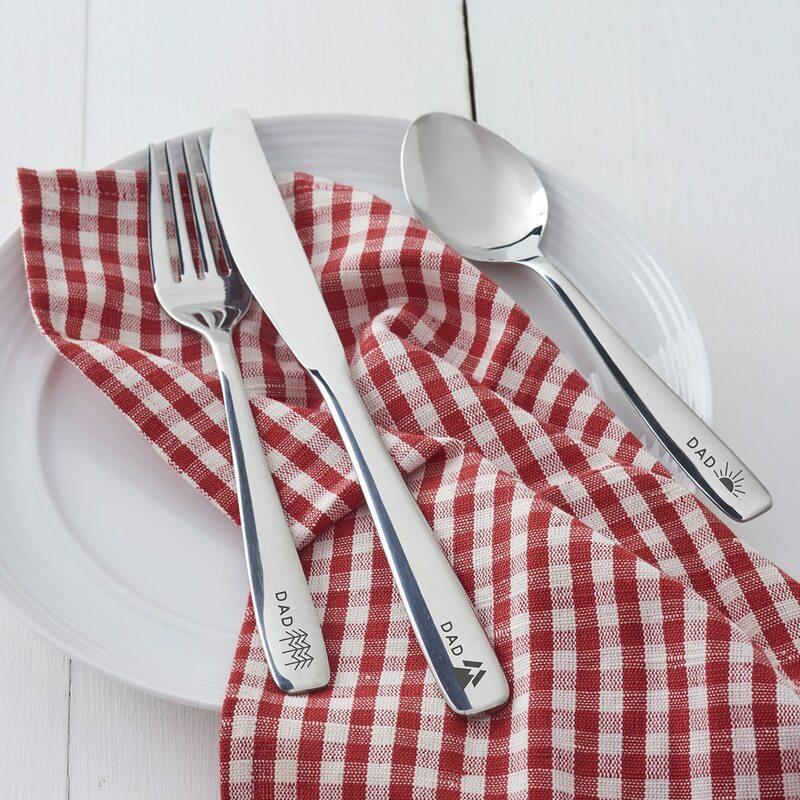 A personalised Father’s Day gift ideal for the adventure loving dad. 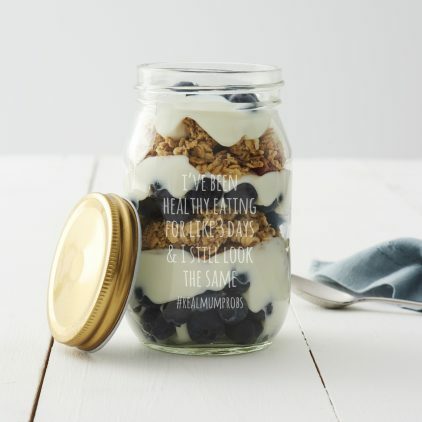 This personalised food jar is perfect for people that enjoy breakfast on the go! 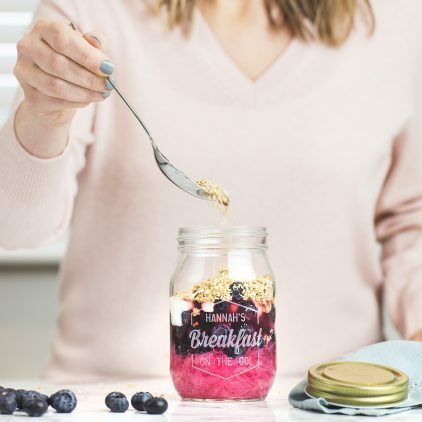 Breakfast on the go is a must for busy mums and our personalised breakfast food jar is the perfect way to enjoy it! 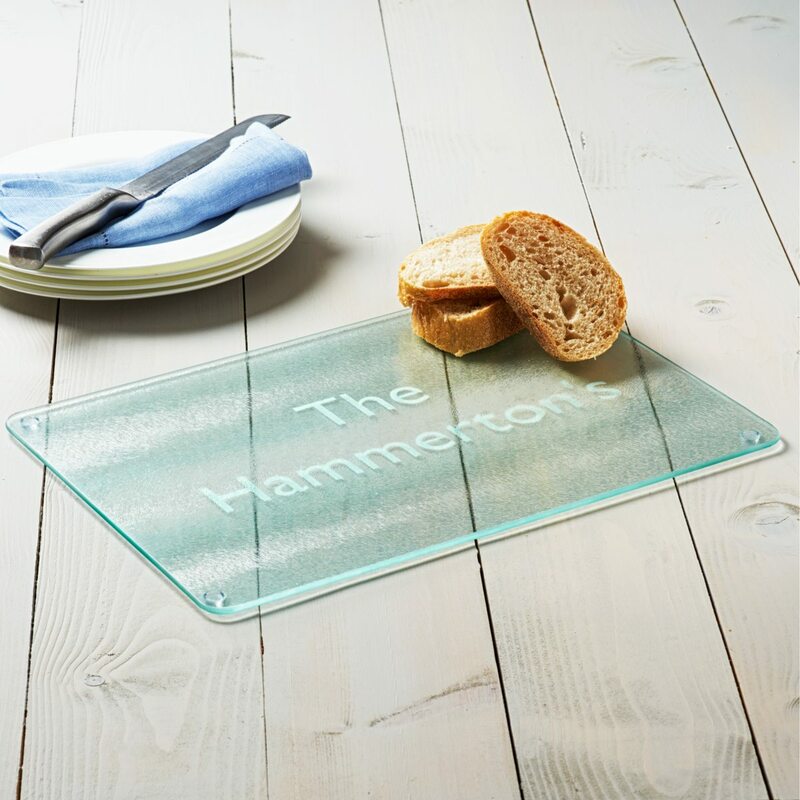 Bring your family into the heart of the home with this personalised family name chopping board. 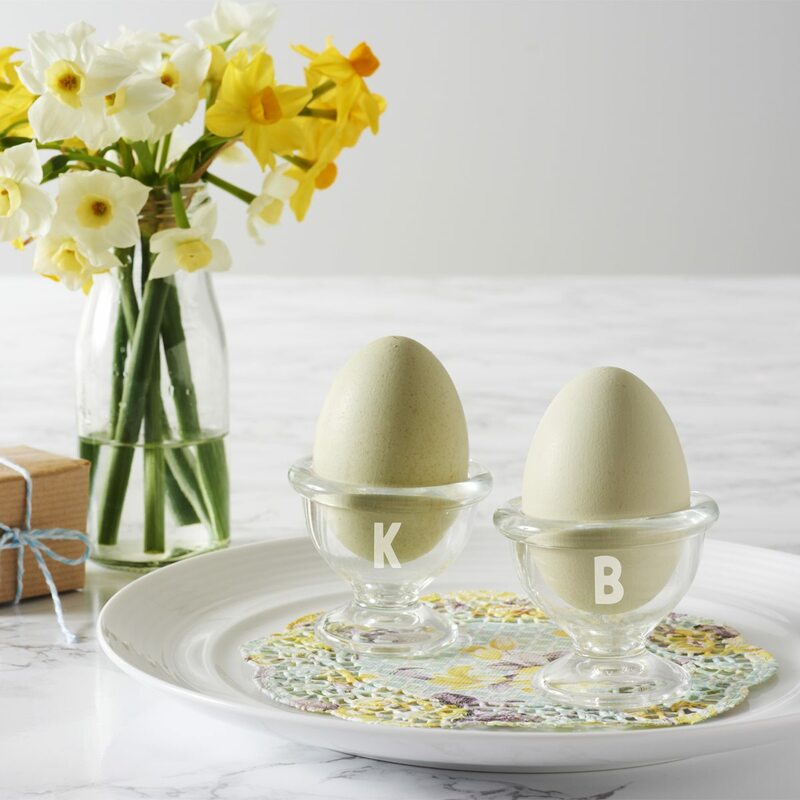 This personalised glass egg cup will add a special touch to breakfast time. 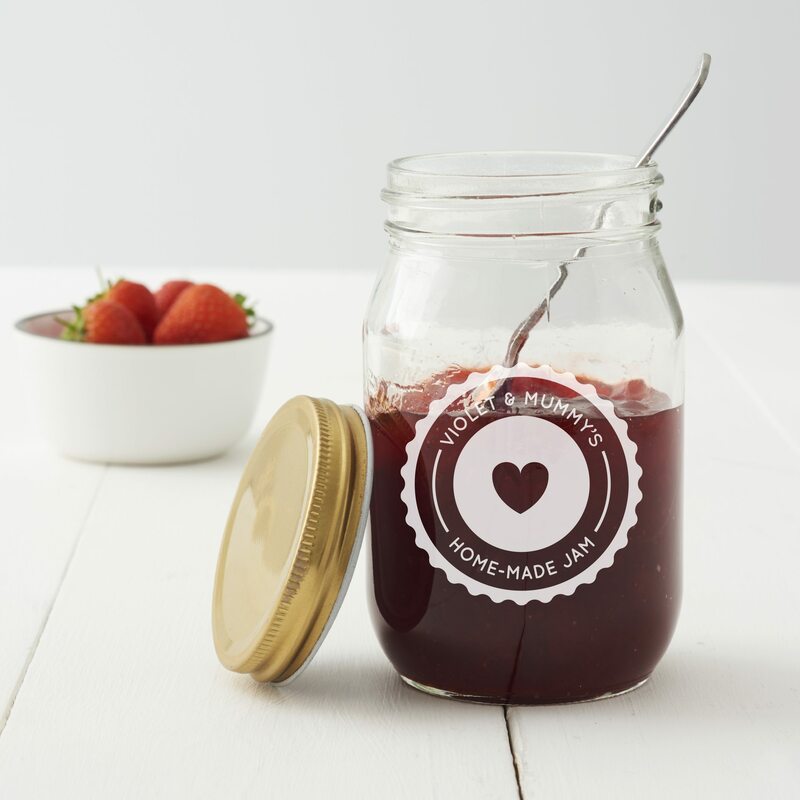 This would be a great Mother’s Day gift for someone that loves to make their own jams or preserves. 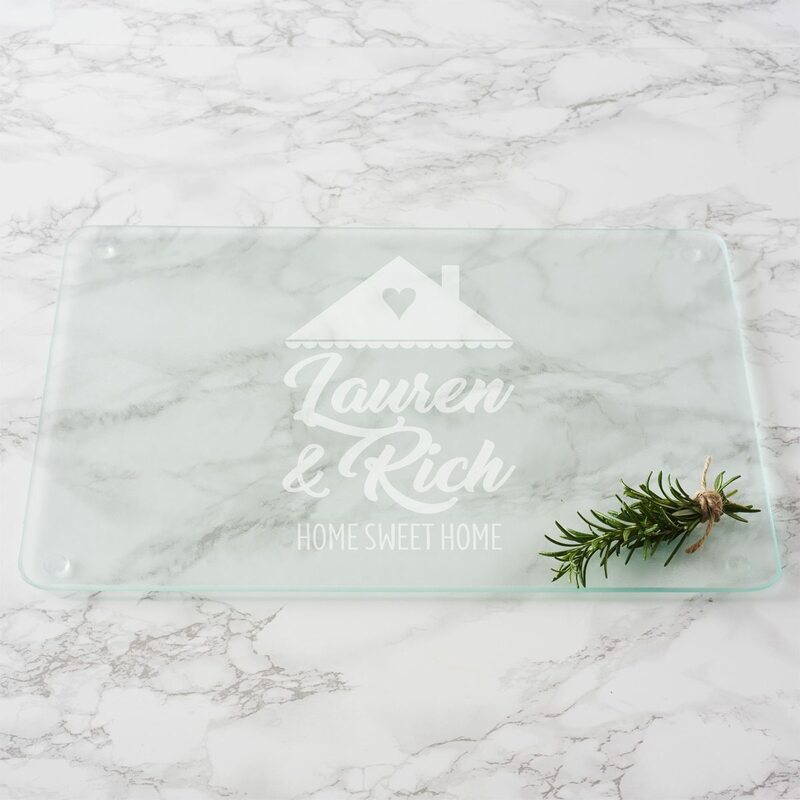 A personalised chopping board is a great housewarming gift for a happy couple celebrating their first home. 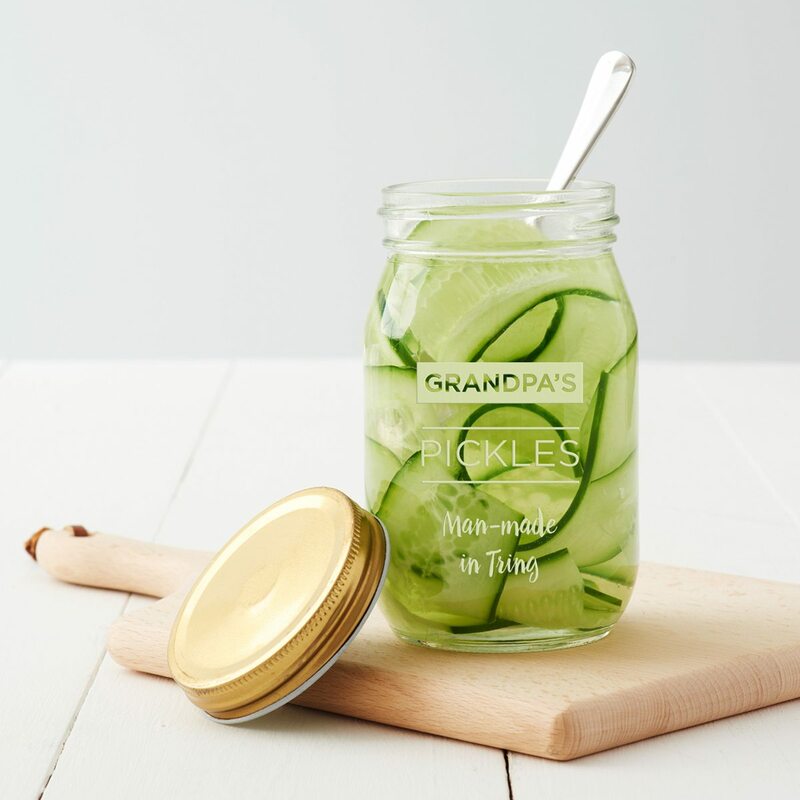 A personalised jar perfect for storing homemade pickles! 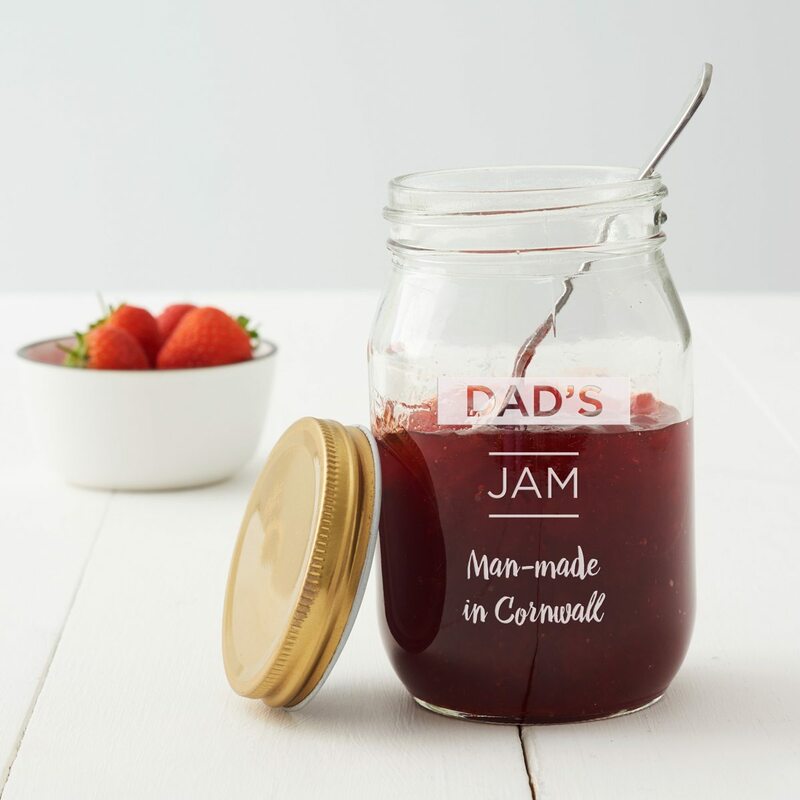 A personalised jar perfect for storing homemade jams or chutneys! 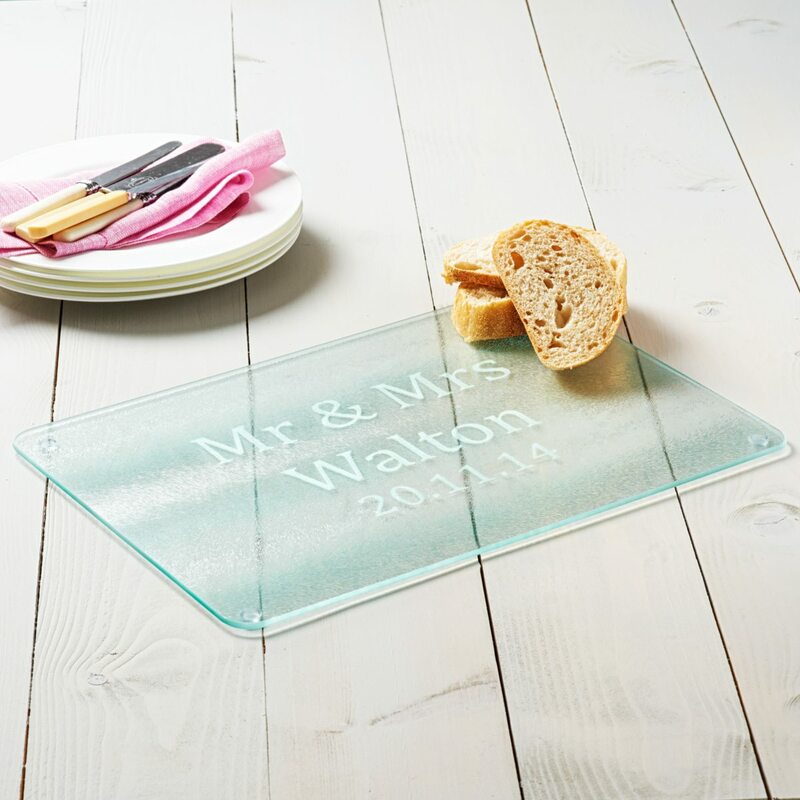 This personalised wedding chopping board is a great memento to keep in the heart of the home.